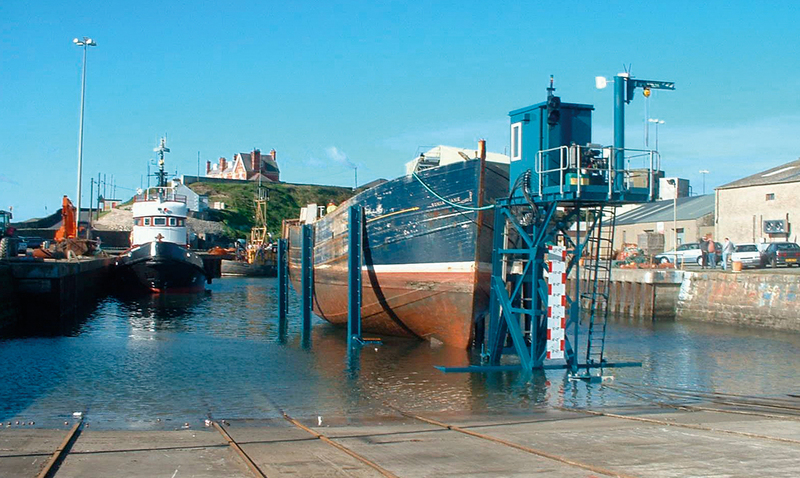 Qualter Hall carried out the design, supply, installation and commissioning of the centre slipway carriage and the winching system. 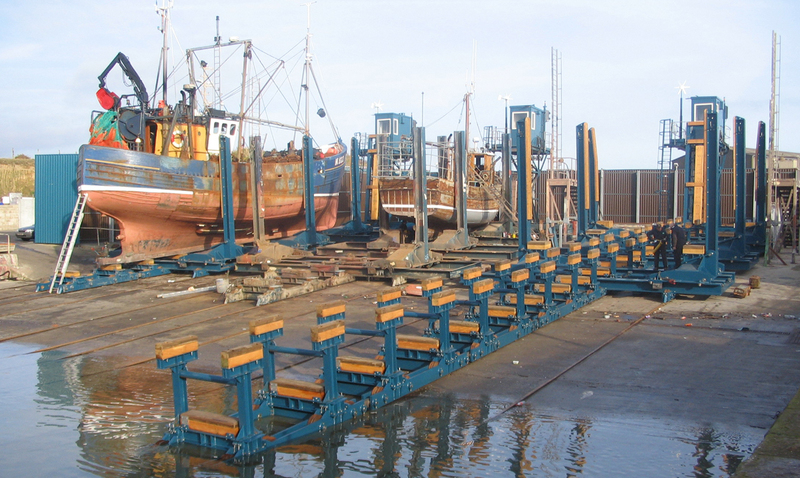 Phase 1 comprised the design, supply, installation and commissioning of the centre slipway carriage and winching system at Kilkeel Harbour in Northern Ireland. Phase 2 involved the design, supply, installation and commissioning of the two outer carriages. 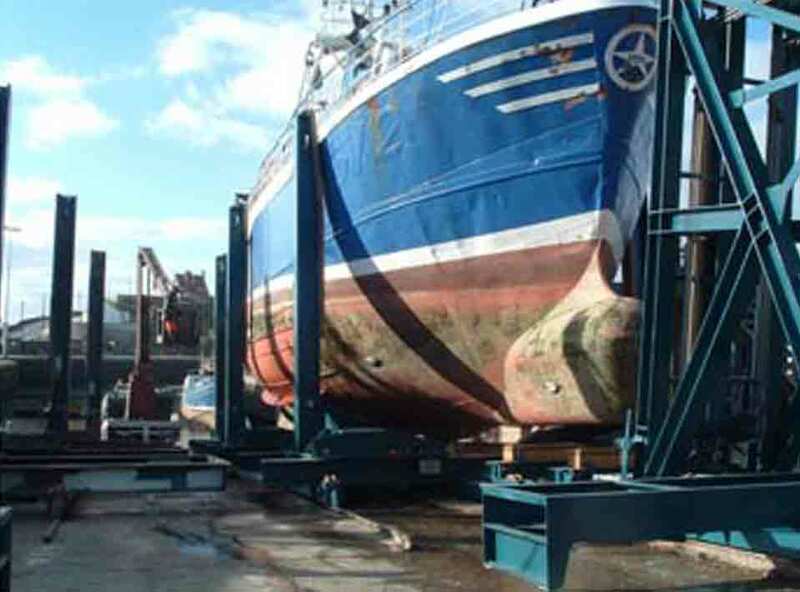 During Phase 1 the centre carriage and winching system replaced existing units which were beyond economical repair, with the winching system being required to operate a further two existing outer carriages. 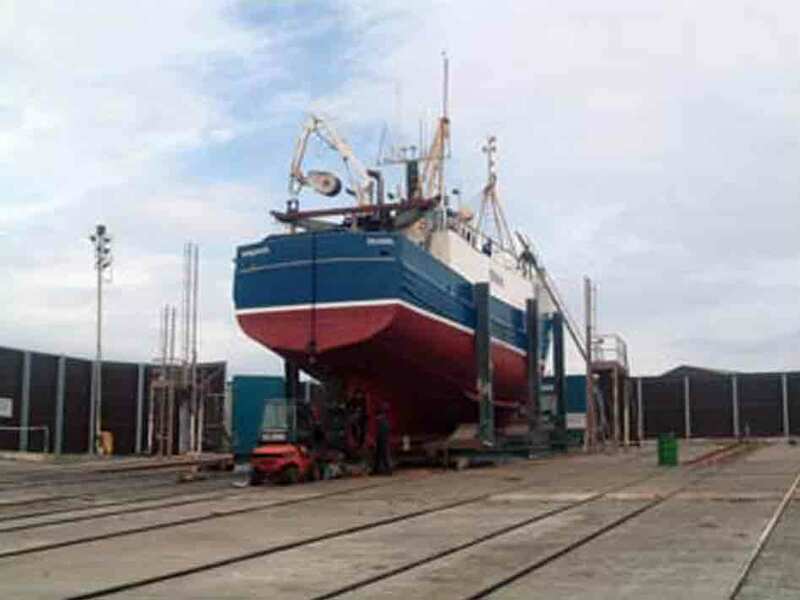 The carriage itself incorporates an innovative feature for Kilkeel, having hydraulically actuated support beams, removing the need for building keel blocks to suit every slipped vessel, dramatically increasing efficiency on the slipway. The travelling winch system comprises two individual hoisting units synchronised to load share and speed match, providing 100% redundancy in the event of rope or hoist failure. Control of the system is available at the winch house and the carriage mounted kiosk, or by radio pack allowing operation from onboard the incoming/outgoing vessel. 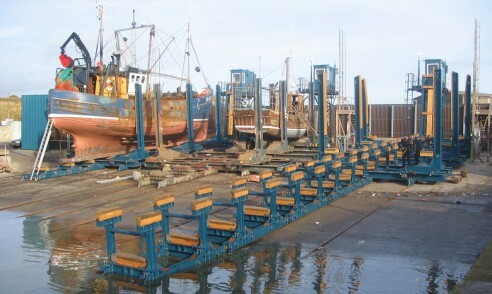 Subsequenty for Phase 2, Qualter Hall replaced the two remaining outer carriages with similar upgraded units, each one specifically designed to maximise the space available on the slipway.